Every year, thousands of workers are seriously injured or killed in construction accidents. Although it is the largest industry in the United States, the field of construction is extremely dangerous. Despite the provisions and regulations set in place to prevent accidents from occurring, the large number of fatal accidents remains. If you or a loved one has fallen victim to a construction accident caused by a negligent party, you may be entitled to compensation under the Texas Workers’ Compensation Act. Contractors have a responsibility to provide safety provisions to construction workers to ensure that their location does not present unnecessary dangers. 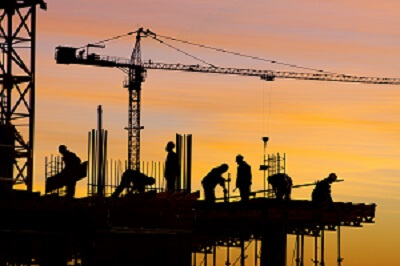 How does workers compensation work for construction accidents? Most employers in Texas carry workers’ compensation insurance, which is no-fault insurance for workers who are injured on the job or while performing a work-related accident. Employers carry this type of insurance to prevent the worker from suing him or her if injuries are sustained. Although the employer is protected from being sued by holding workers’ compensation insurance, the injured worker can file a claim against another trade or subcontractor’s employee if his or her negligence caused the accident to occur. If the employer does not carry workers’ compensation insurance, the employee who has suffered injury can sue his or her employer for the damages suffered. Our Fort Worth personal injury attorneys have a solid understanding of the complex laws associated with workplace accidents. We are prepared to fight on your behalf for the just compensation that you deserve, whether that comes through the filing of a workers’ compensation insurance claim or a personal injury claim. Schedule a Complimentary Strategy Session to learn more!